Few people will thank HIV and AIDS for anything. But the AIDS epidemic is forcing the medical aid industry out of its affluent comfort zone, and into the realm of market expansion that could benefit tens of thousands of Namibian workers. Private health care is an elite domain: less than 50 percent of Namibians in formal employment – just 12.5 percent of the entire population – have medical aid, and the majority of employees have to rely on the already overburdened state for their health care. People in unskilled and semi-skilled jobs who, currently, cannot afford private medical aid, are the only avenue for major market growth for an industry that has, until recently, been content to cherry pick well-paid white collar workers who can afford high medical aid premiums. As the AIDS epidemic has begun to take hold, private medical aid schemes have been under pressure to pay for members’ HIV and AIDS treatment on the one hand, and to reduce the costs that go with treating more and more HIV-positive people on the other. Significant market growth is needed to absorb the costs of treating HIV and AIDS and other chronic diseases. “AIDS has been a catalyst”, says Andre September, chief executive officer of the Namibian Association of Medical Aid Funds (Namaf), the industry’s umbrella body. 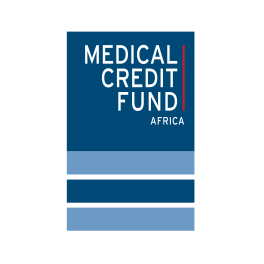 “(Medical aid) funds need to be very creative with what is a limited risk pool.” Several new, less expensive medical aid products, all of which include relatively comprehensive HIV and AIDS benefits, are the tentative first steps in the industry’s quest for market growth. A few years back, a shortage of spare cash – by law, medical aid funds must keep in reserve 25 percent of their annual contributions – hampered the development of less expensive medical aid products. This was despite calls from government for private medical aid schemes to cater for workers who currently cannot afford medical aid. At last year’s Namaf annual conference, President Hifikepunye Pohamba again challenged the industry to “reach out to a larger constituency of the employed” and to “entice them … with greater innovativeness”. “Every Namibian that is gainfully employed should be able to have access to medical aid cover”, Pohamba told delegates. The rhetoric has been accompanied by a vague threat of legislation that would force the industry to provide a set of minimum benefits through the creation of a national medical aid fund, as is happening currently in South Africa. However, no such law appears to be in the pipeline in Namibia as yet. Those venturing into new territory have found the existing laws more of a hindrance than a help, particularly when those taking the initiative came from outside the medical aid fraternity. Diamond Health Services (DHS), a company part-owned by a former superintendent of the Katutura State Hospital, Dr David Uirab, sought to introduce a completely different business model to the one used by the established medical aid schemes. Existing medical aid administrators Prosperity and Methealth – who run the Renaissance and NMC medical aid schemes respectively – have had more luck getting their HIV and AIDS “risk equalisation fund” off the ground. 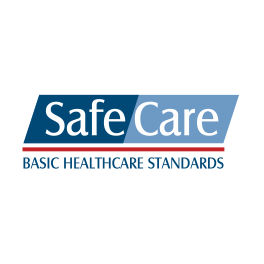 Nonetheless, the fund – which, like the original DHS product, covers out-of-hospital ‘primary health care’, including treatment for HIV and AIDS, under the brand name ‘Health is Vital’ – has not fitted neatly into the existing regulatory framework, and had to register as a non-profit friendly society. A Dutch foundation that aims to make HIV and AIDS treatment available to poor people in developing countries has also helped spur the medical aid industry into innovative action. 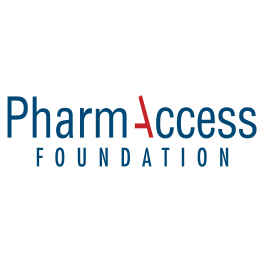 The PharmAccess Foundation is subsidising medical aid products targeting lower income employees with grants it received from the Dutch lottery and other donors supported by the Dutch taxpayer. PharmAccess is also helping the medical aid companies to better manage their HIV-positive clients, while also carrying out research. NHP has added HIV and AIDS treatment to the benefits offered under its Economic medical aid option, with PharmAccess contributing N$10 per month towards the premium paid by every new member of the scheme. Meanwhile, PharmAccess is paying N$20 per month for every new person taking up NHP’s Blue Diamond option, and N$30 per month for everyone enrolling on Health is Vital’s primary health care package. The subsidies will continue until the end of 2007, and are designed to help jump-start the new schemes. “PharmAccess has assisted tremendously, both in terms of money but also expertise”, says Opperman. Peter van Wyk, head of the Namibian Business Coalition on AIDS (NABCOA), believes PharmAccess funding has been the “carrot” that encouraged the medical aid schemes to try out products for lower income workers. With the onset of the AIDS epidemic, the medical aid industry sought first to exclude, and then to severely limit benefits available to HIV-positive people. With no incentive to inform the medical aid schemes of their condition, many HIV-positive people kept their status a secret. This increased their risk of developing AIDS more quickly as a result of not receiving adequate treatment, care and support. Many could not afford anti-retroviral therapy and ended up in hospital – at the expense of the medical aid scheme. “An attempt by the medical aid funds to protect their funds was actually having the opposite effect”, says Emil Struwig, general manager of Beyond Solutions, which markets Health is Vital. This prompted Prosperity Health to look at alternative ways of reducing the risk posed by treating HIV and AIDS. Prosperity decided to pay N$20 from every medical aid policy it managed into a separate reinsurance fund, out of which all claims for HIV and AIDS treatment were paid. At first Prosperity’s plan was greeted with hostility from indignant clients, who protested why they had to subsidise the treatment of “prostitutes” and other “immoral” people living with HIV. Subsequently, Prosperity played down the fund’s role, announcing instead a new “corporate social responsibility programme” as part of its benefits package released in January 2004. The new programme provided an attractive N$100,000 worth of HIV and AIDS cover per year, the cost of which was met discretely through the fund. Struwig says there was a noticeable increase in the number of HIV-positive people registering with the scheme during 2004. 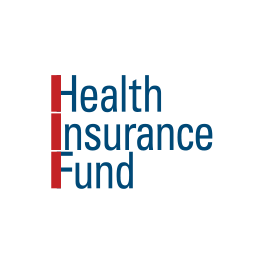 Due to be launched by Prime Minister Nahas Angula on September 27, the Health is Vital “risk equalisation fund” is an evolution of this initial reinsurance fund. Although Struwig believes HIV and AIDS is “one of the biggest threats to the medical aid industry”, not everyone is convinced the disease warrants the attention it receives from Health is Vital and PharmAccess. Figures provided by the medical aid administrators suggest that less than 3 percent of private medical aid scheme members are HIV-positive – well below the national HIV-prevalence rate of 19.8 percent. And the disease is not the industry’s biggest concern in terms of cost, thanks also to a dramatic reduction in the price of HIV and AIDS treatment in recent years. Methealth puts the average monthly cost of treating an HIV positive scheme member at N$854, while an average N$3,013 per month is spent on treating someone with high blood pressure, the bulk of the latter being claims for hospital treatment. “You should treat all chronic diseases the same”, Venter adds. By creating a risk equalisation fund for all chronic diseases, perhaps? “Now you are talking”, says Venter. To succeed, Health is Vital’s risk equalisation funds needs buy-in from as many medical aid schemes as possible. The more people enrolled, the easier it will be for the fund to cover the cost of HIV and AIDS treatment, as people requiring treatment for HIV and AIDS will be counter balanced by those who do not. By covering their HIV and AIDS related costs from the fund, participating medical aid funds should, in theory at least, be able to lower their premiums to all members, as the funds will not have to carry the cost of HIV and AIDS treatment on their own. To date, only Prosperity and the Roads Contractor Company medical aid schemes have joined the fund and provide Health is Vital as part of their benefits package. Both Serfontein and Nammed’s Venter put more faith in providing overall basic health care through primary health care models such as Blue Diamond. Venter would also like to see “smart partnerships” between private and public sector that would invest in upgrading public health care facilities to cater for more private patients. So what is the prerogative behind the new medical aid products coming on to the market: treatment of HIV, or general medical aid cover for those who could not afford it before? “Both”, say those behind the risk equalisation fund. Meanwhile, DHS’s Dr Uirab and NHP’s Serfontein prefer to focus on providing general medical aid cover for those who could not afford it before. “We are providing primary health care which treats HIV and AIDS in the same way as we treat other chronic diseases”, says Uirab. Market dominance and political clout could ensure that Health is Vital generates the numbers it needs to take off, and perhaps even to provide the foundation for a national risk equalisation fund. Between them, Methealth and Prosperity, the companies behind Health is Vital, administer more than 80 percent of all medical aid policies in Namibia. Not only does Prosperity administer the civil service medical aid fund PSEMAS, but it is also part owned by companies belonging to Swapo-affiliated trade unions, as well as the ruling party’s own company, Kalahari Holdings. The extent to which semi and unskilled workers end up benefiting from private medical care will depend a lot on how government, private sector employers and the medical aid industry view new medical aid products tailored for these lower-income employees: as quick-fix solutions for the AIDS epidemic; or vehicles for reaching the goal of “health for all” that are worth backing with more than just words.